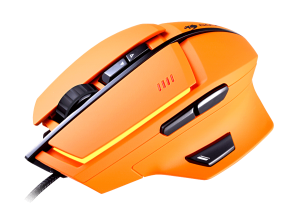 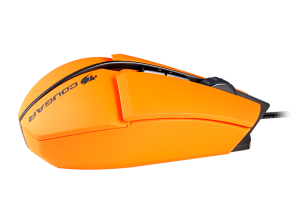 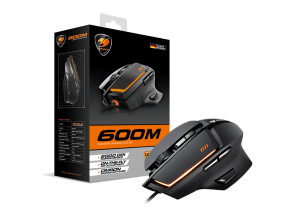  600M is a unique gaming mouse that brings you advanced gaming functionality and awesome looks. 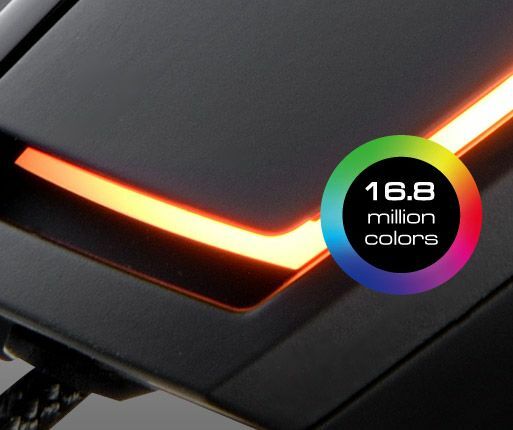 With a powerful LED backlight that can display up to 16.8 million colours and full customization of its functions (including macros! 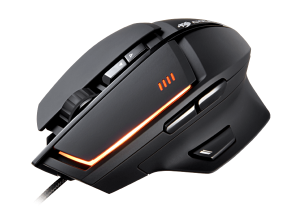 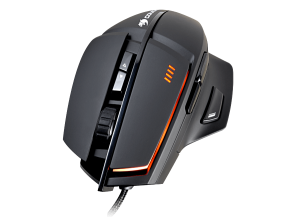 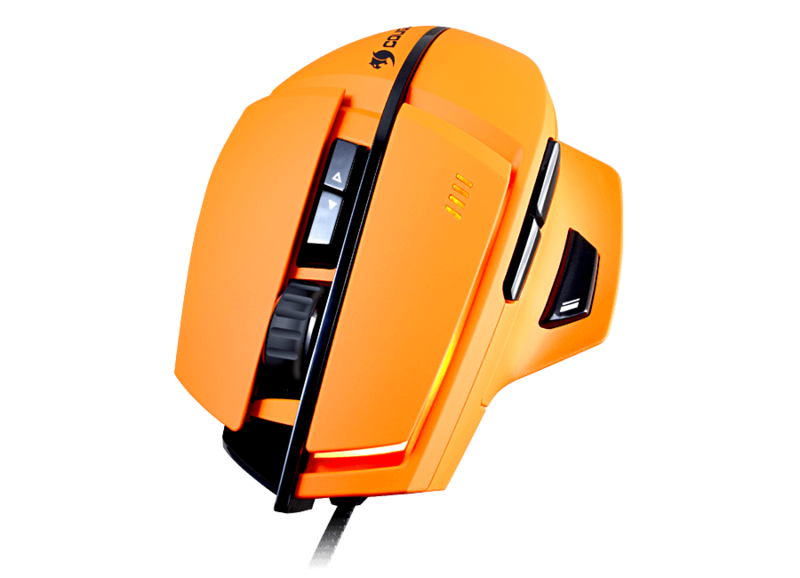 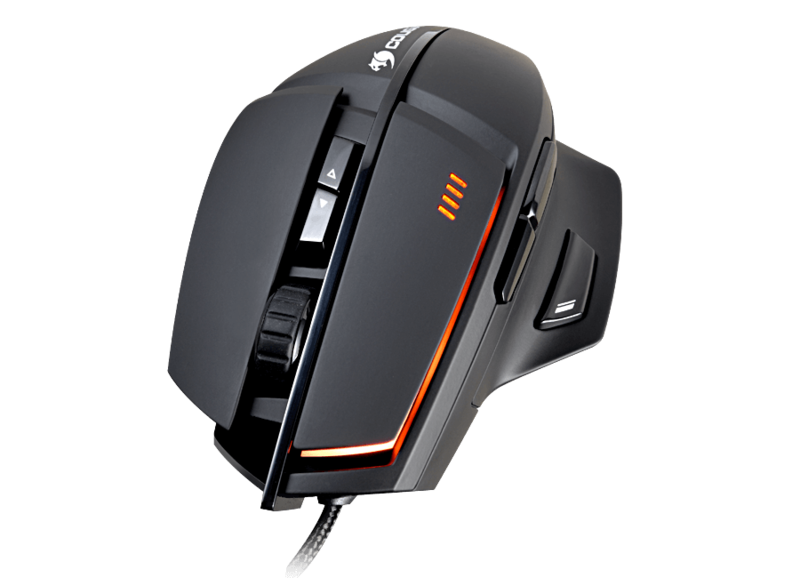 ), this mouse will bring your gaming to a new level! 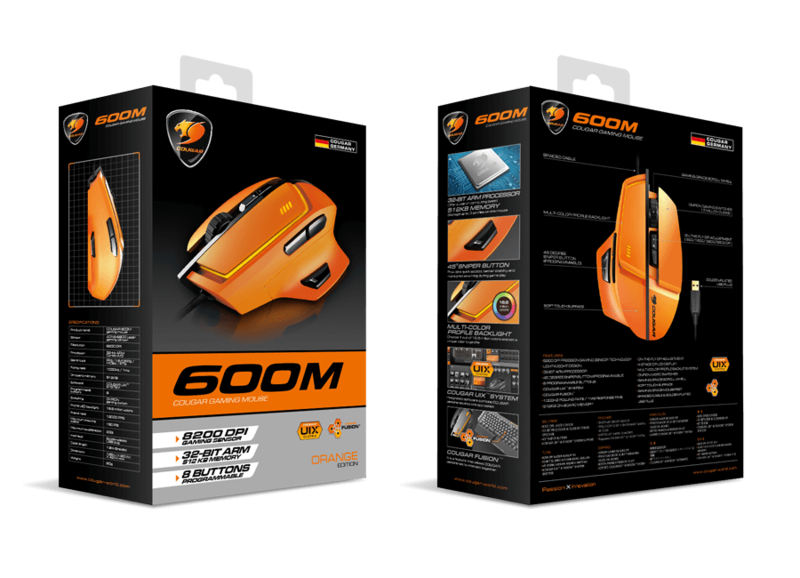 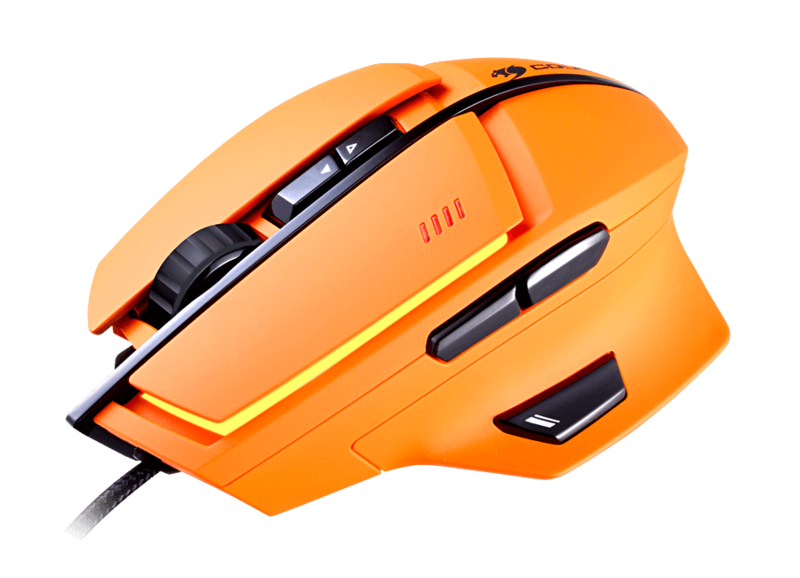 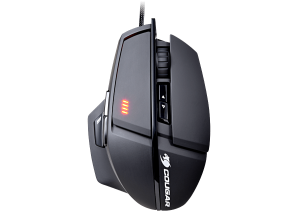 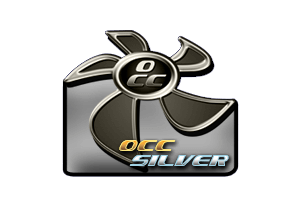 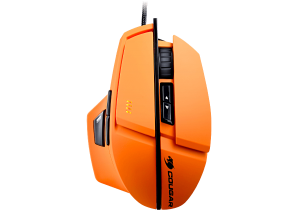 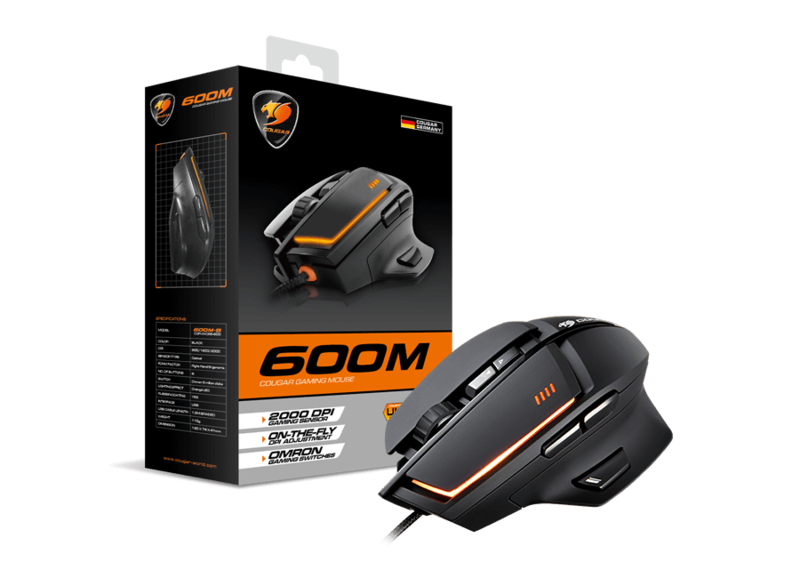 COUGAR 600M has been designed with the clear objective of offering gamers a mouse that can both provide state-of-the-art technology, all the features necessary to enhance the gaming experience and an aesthetically pleasing design. 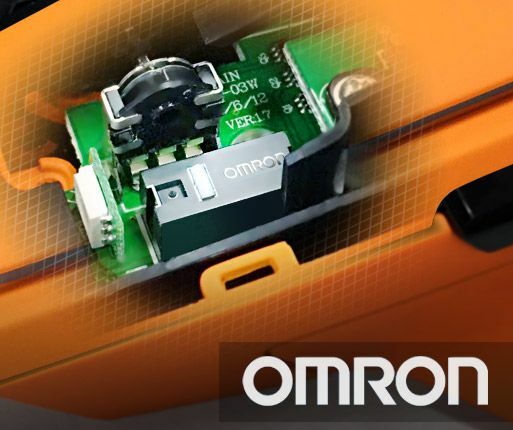 Its premium components (OMRON switches, ADNS-9800 Sensor, premium quality soft touch surface) guarantee a flawless performance during gameplay, and its 32-bit ARM processor and 512KB on-board storage provide virtually instantaneous responses and the possibility, without depending on any computer or external device, of keeping up to 3 full configuration Profiles stored on-board. 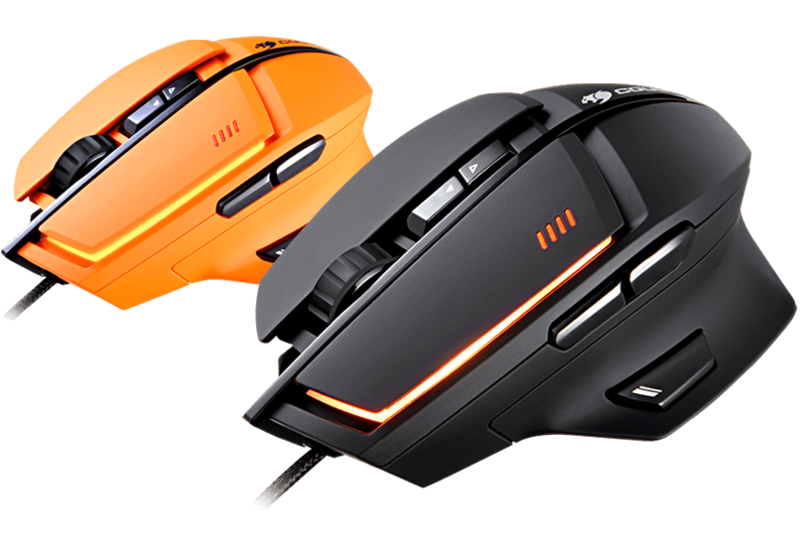 Aesthetically, this mouse is very stylish and has a unique feature in that the left mouse button is a floating key with a big LED backlight that can display up to 16.8 million colours. 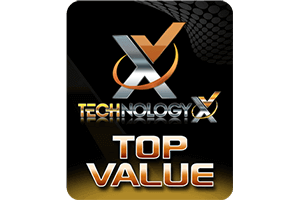 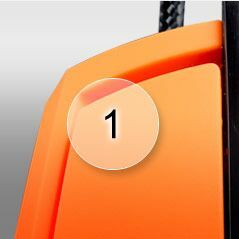 These features alone sweep away most competitors. 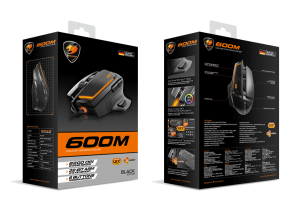 Very simply: The 600M is more precise when registering your movements, smoother processing your commands and using its functions, and faster transmitting input to the computer than 90% of mice on the market. 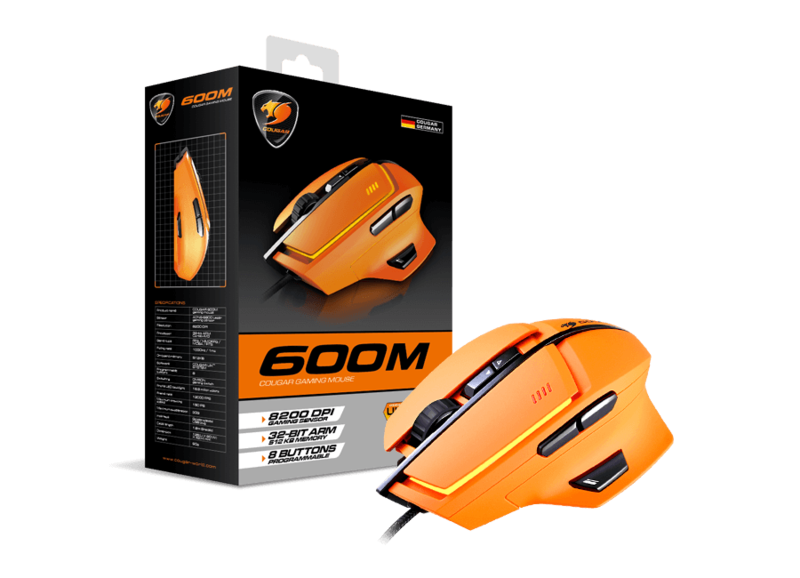 The 600M has a total of 8 fully configurable buttons (including 45° Sniper Button) for you to associate with any function you want. 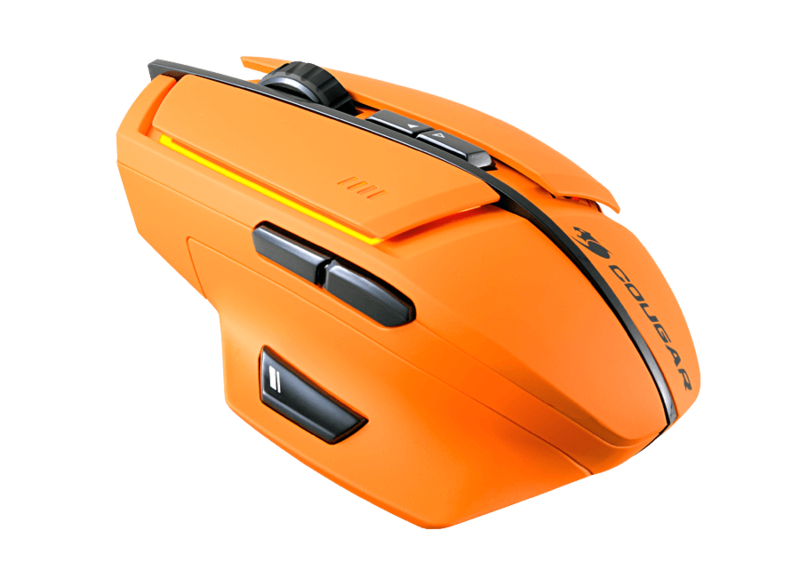 If we take into account the up to 3 configurable Profiles that can be stored in the mouse´s internal memory, this means that we can access up to 27 different functions with a single hand. 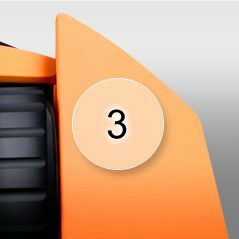 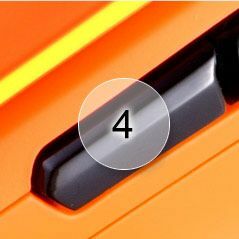 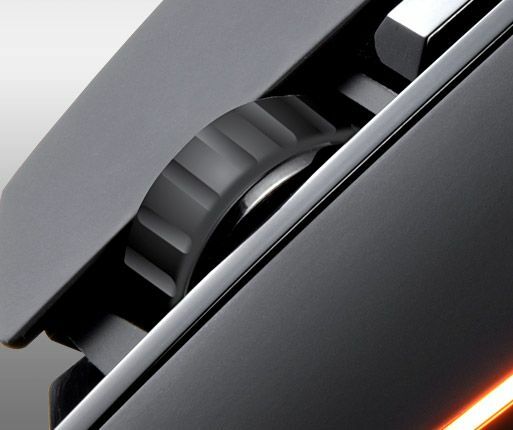 Apart from the Sniper Button, there is also a dedicated button for easily switching DPI modes. 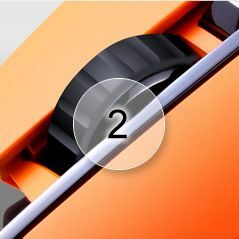 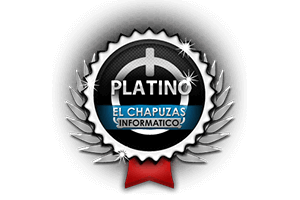 All the buttons have been carefully located and designed to optimize the user´s comfort and minimize the distance the user’s fingers need to move through to reach functions. Among the eight buttons of the 600M is the 45° Sniper Button, designed to allow you to quickly switch between DPI modes to rapidly increase accuracy or speed. 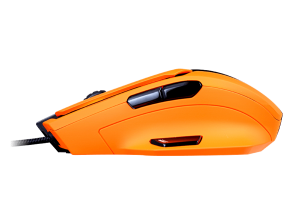 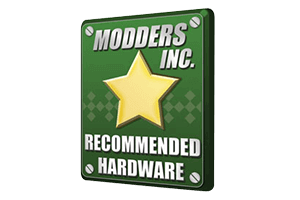 Most mice on the market implement this feature in a way that defeats its purpose, since pressing it affects the mouse’s movements. 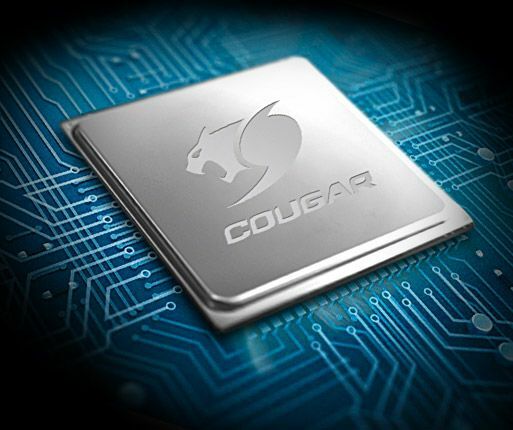 The COUGAR 600M gets around this with a 45° design that gives the user full precision. 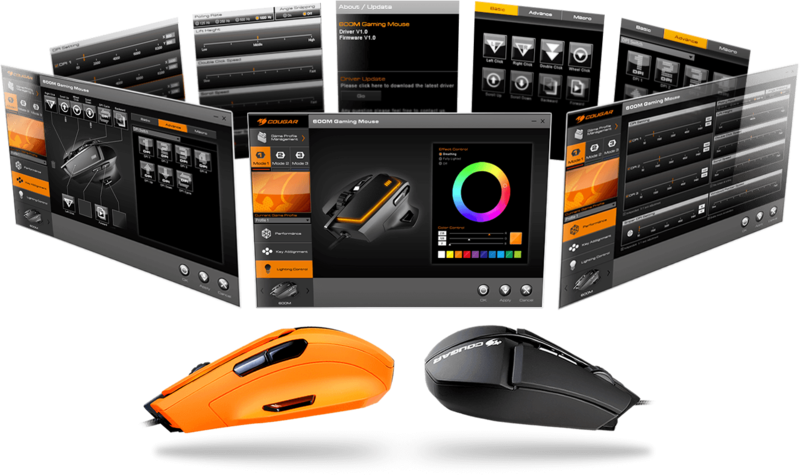 Configure a myriad of functions intuitively and bring them with you. 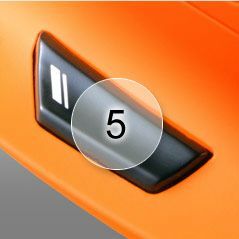 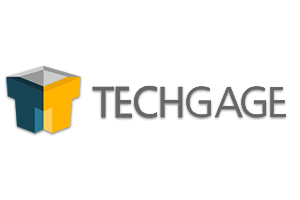 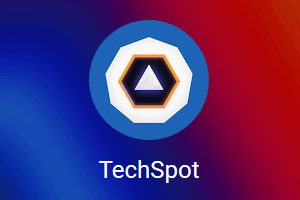 Set the functionality of all the buttons, assign pictures to Profiles for graphical recognition, store macros and share them, all with a very convenient and intuitive interface. 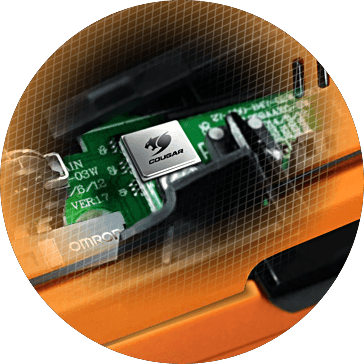 The 600M´s internal memory will then allow you to bring up to three full configuration profiles anywhere you go. 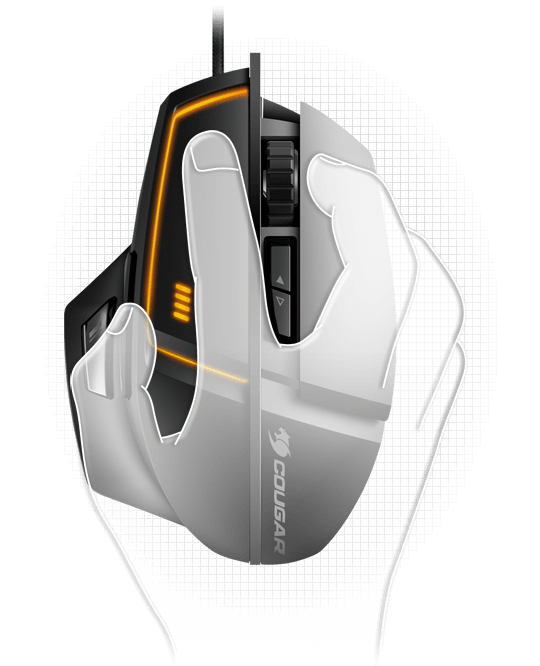 The COUGAR 600M’s design has been thought so that it adapts optimally to the hand of the right wind claw grip users while still being comfortable for palm and fingertip grip style users. 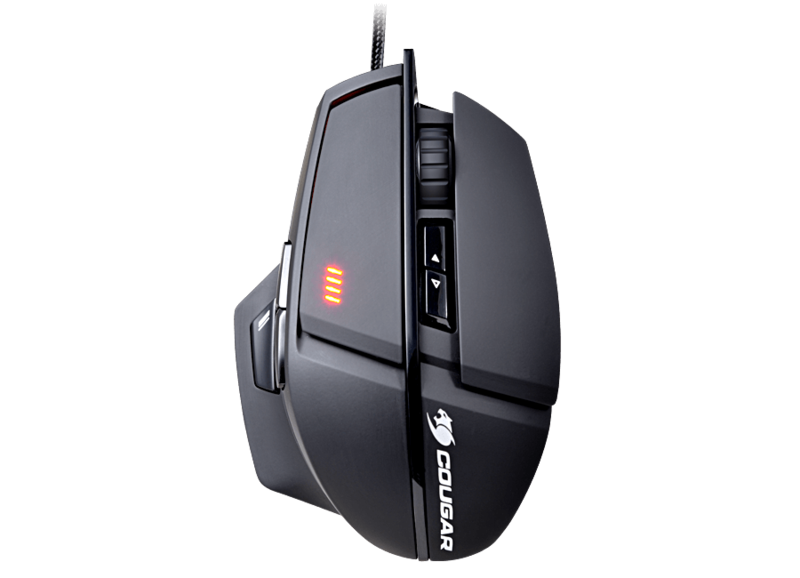 The COUGAR 600M sports one of the more impressive backlight designs on the market. 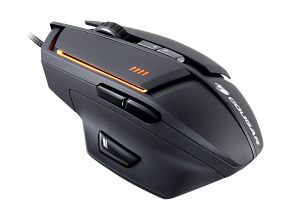 Under the floating left mouse button, there is a powerful backlight. 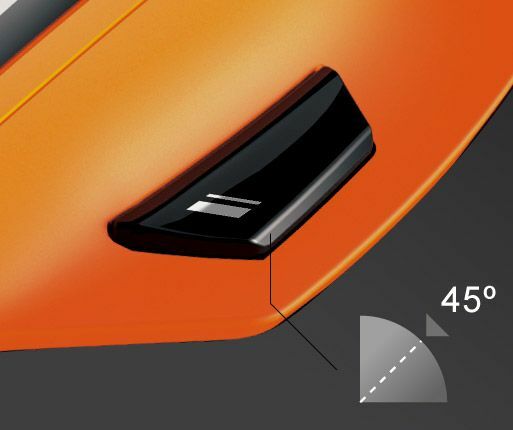 Apart from being a visual spectacle in itself, this backlight is a handy way to know always the configuration Profile you are currently using, avoiding confusion and optimizing usage. 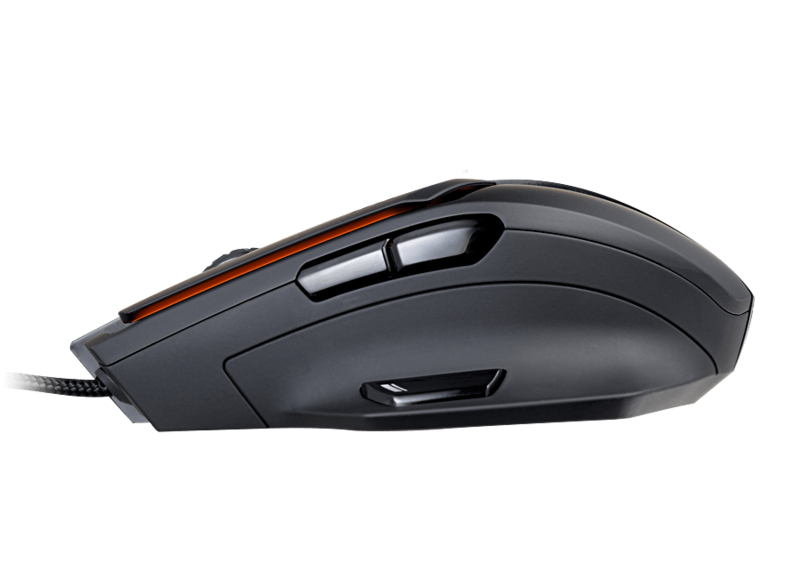 The ALPS encoder and the rubberised scroll wheel provide an extremely accurate tactile feedback. 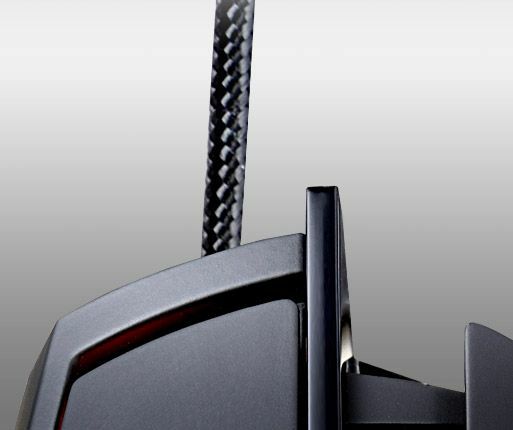 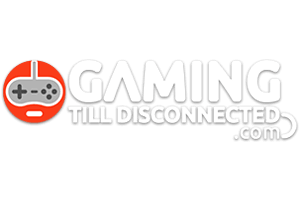 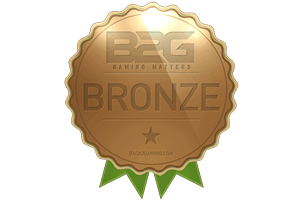 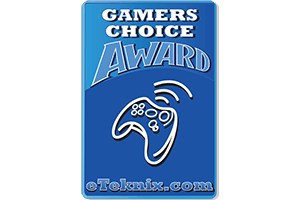 Sturdy and durable solutions for gaming. 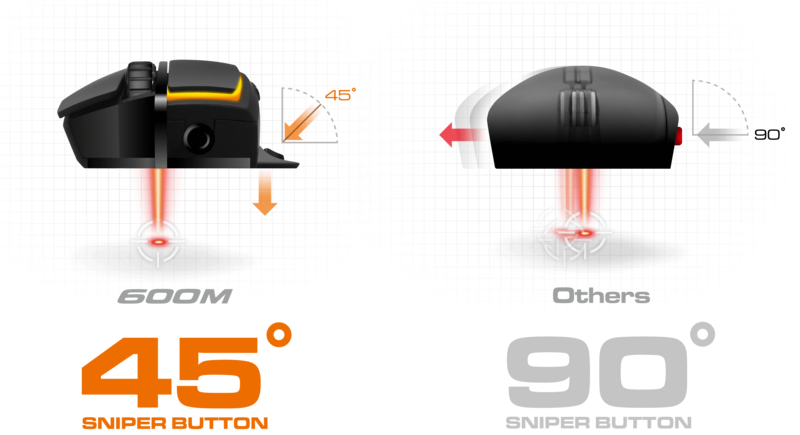 provides quick access to a more precise aiming mode during gameplay, with a 45° angle design that prevents it from hindering the user’s accuracy while pressed. 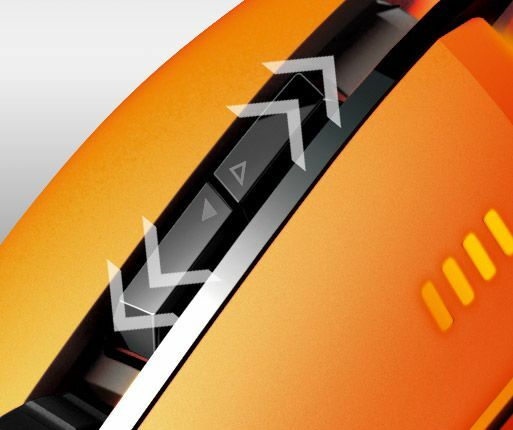 Its anti-slip surface also keeps you fresh. 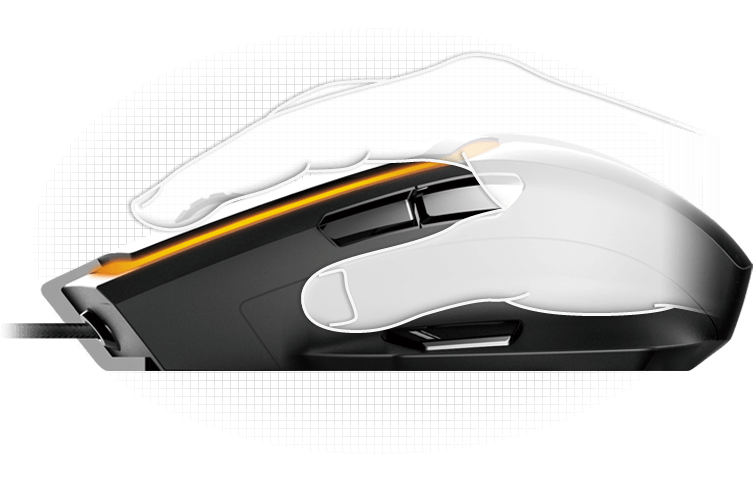 The COUGAR 600M’s specially designed surface will allow you to keep your grip stable and your control precise with the minimum amount of strength while also keeping your hand fresher than with most mice on the market. 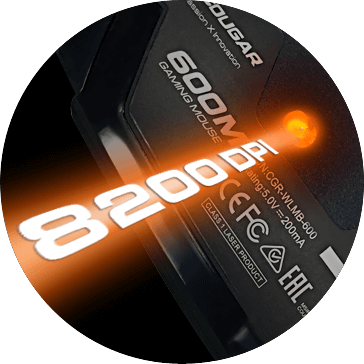 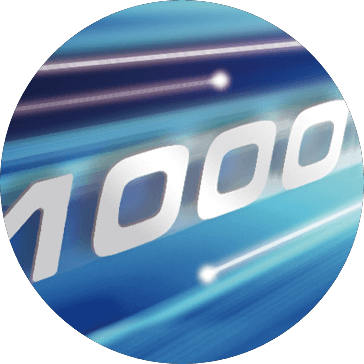 The ADNS-9800 high-performance laser sensor provides pinpoint cursor control. 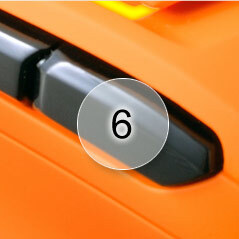 Eight fully configurable buttons: functions, macros, shortcuts, etc. 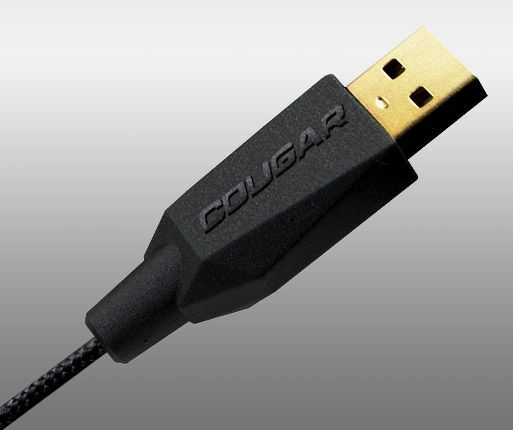 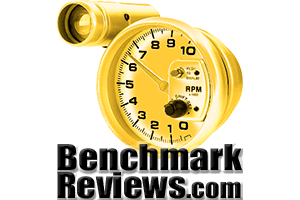 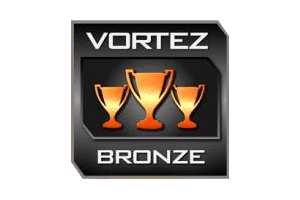 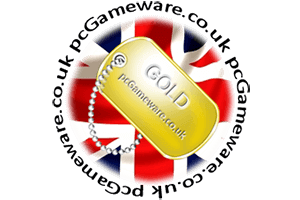 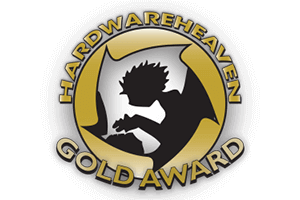 125Hz – 1000Hz USB rate fine-tuning. 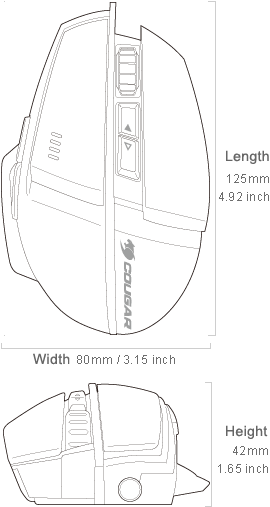 The high-quality mouse feet provide a smooth yet accurate experience. 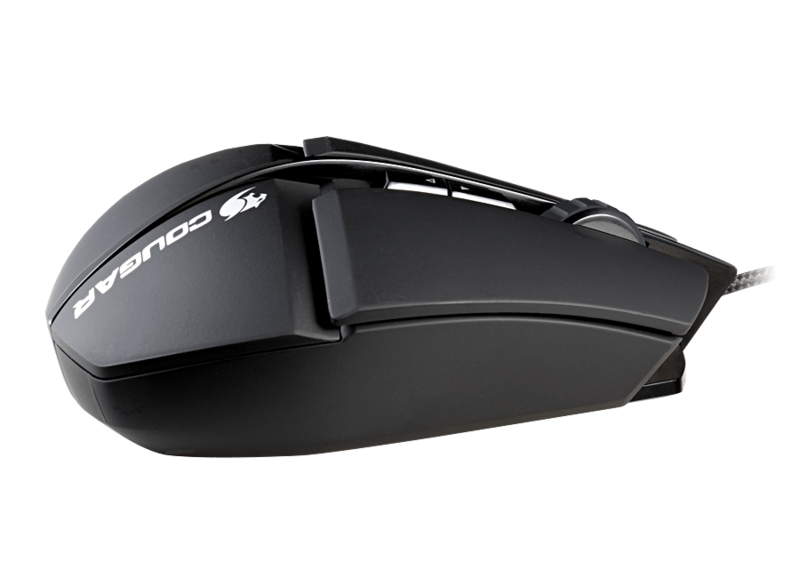 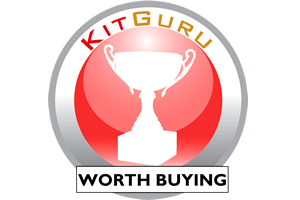 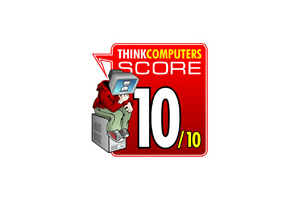 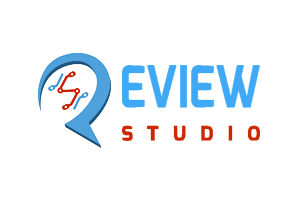 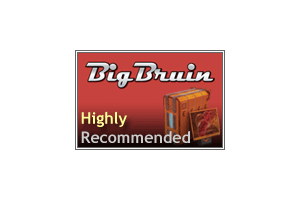 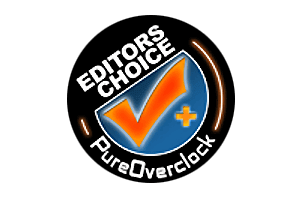 "Build quality is very good overall. The mouse is durable and all ..."
"Lo primero que debemos destacar es su excelente ergonomía, pues ..."
"Left side comfort is great – awesome planning on the thumb rest..."
"It never skipped a beat, it never went flying off at random times..."
"When it comes down to it, for the $59.99 MSRP, it would be hard t..."
"I have been using the Cougar 600M for a few weeks now and I reall..."
"Overall, the Cougar 600K and 600M are excellent products that pai..."
"I’ve played with many mice in my time, some of them extremely h..."
"With an excellent design, great features such as the dedicated 'S..."
"It has some great customization options, a flashy look that takes..."
"With the Cougar 600M you're going to get a really good gaming mou..."
"All in all I’ve really enjoyed my time with the Cougar 600M. 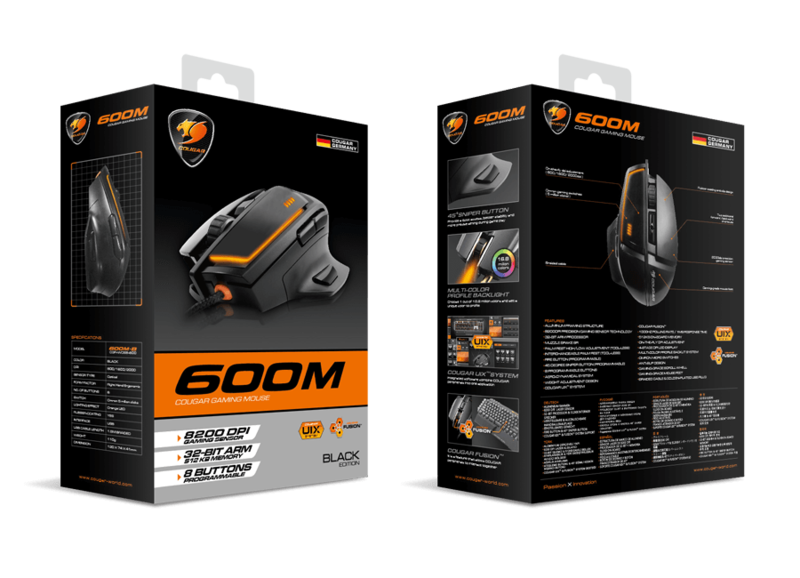 Pe..."
"The Cougar 600M should prove an ideal solution for gamers needing..."
"The Cougar 600M Black Edition Gaming Mouse for its price point an..."
"Every aspect of the physical performance of the mouse feels premi..."
"The build quality and design are very good as is the performance...."
"(…)the Cougar 600M is a fine gaming mouse for first-person shoo..."
"If you want an affordable and light gaming mouse that can hold it..."
"(…)Cougar are on the right track, this is a comfortable mouse; ..."
"I enjoyed every minute of using the 600M. 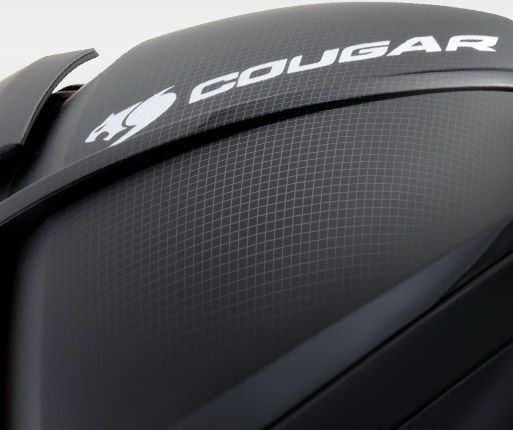 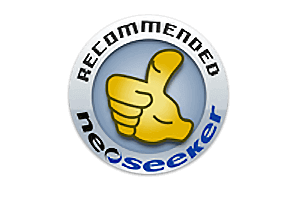 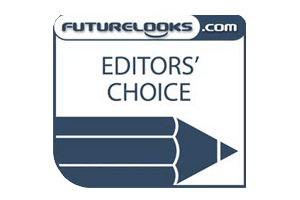 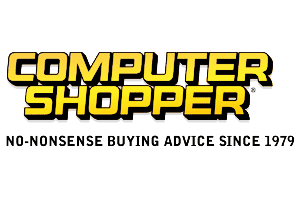 The smooth finish is a ..."
"After a few weeks in use, I have to say the Cougar 600M laser gam..."
"The Cougar 600M provides extraordinary performance by utilizing t..."